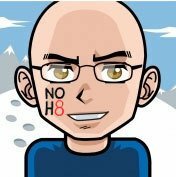 ← Are You Ready For Some Football…Politics, Activism And Comics? Hockey Pages: Why Does the Red Wings Guy Write A Book Set Near Pittsburgh? People who routinely read my PuckBuddy’s posts know that the Red Wings are my primary team. The team I root for no matter what. The team I’ve been a fan of for nearly forty years and will forever more. However, I also have major love for the Penguins that goes back to the mid-80s. 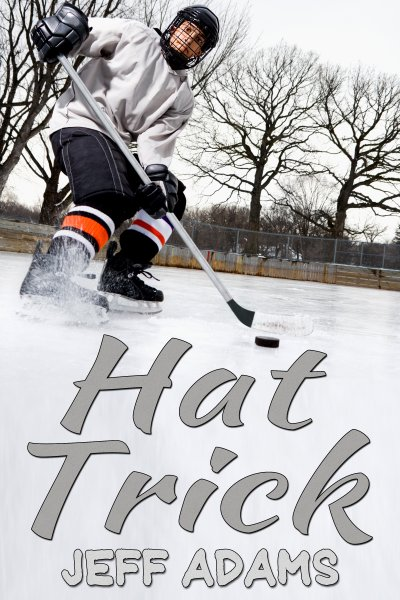 So why is my debut novel, Hat Trick, set outside Pittsburgh rather than somewhere near Detroit? The primary reason had to do with where Simon and Alex, the two high school seniors in love at the heart of Hat Trick, want to go to college. Simon has a deep desire to get far away from home. Since I’m a fan of Wolverines hockey, it made sense for Michigan to be the target school. I definitely needed the guys near an NHL team I loved. What makes a better date than a hockey game? (As a PuckBuddys exclusive, you can check out a Hat Trick excerpt featuring their Penguins game date at the bottom of this post.) Having them near a major city was a plus too, not only to go to the game, but to do a few other things. One of the trips Simon and Alex take is one that I particularly loved writing. The guys get a visit from some players from the Pittsburgh Gay Hockey Association. The Pittsburgh guys invite Simon and Alex to scrimmage with them. Back when I first wrote those scenes, 2006-07, there was no such thing in Pittsburgh. Happily in March 2012, Mike and Adam got Pittsburgh Gay Hockey off the ground and players took the ice together for the first time. Suddenly the group in the book existed in reality and that was great. I’ve had the privilege to play with the guys from Pittsburgh a couple of times and they are awesome. Finally, the Simon and his friends needed to be in the North so they could have a pond to play on. The pond helps illustrate how close the seniors on the hockey team are. They’ve played pond hockey for years and, as soon as it’s cold enough they are out there getting it ready for the season. The way high school hockey works in Pennsylvania was appealing for the story too. For state championships, the state is divided into two and one side plays for the Penguins Cup and the other for the Flyers Cup. It makes the contest all the more impressive that you get a cup and then go on to play for the state championship title. Now you’ve got the insight on why Pittsburgh. If you want to read the rest, please pick up a copy of Hat Trick. It’s available from several online retailers in both ebook and paperback. You can learn more about the book at HatTrickNovel.com. Also, for each copy sold, I’m donating one dollar to You Can Play so they keep doing the important work they do. Alex clearly planned something elaborate for this date. All he said I needed to do to prepare was to wear something comfortable, but mildly dressy. I went for black jeans and a dark beige sweater with my letter jacket over the top. Alex wore dark blue jeans, a maroon sweater, and his letter jacket. We looked good together. It was early, too. If I judged right, we’d be in Pittsburgh a little after six, if that was where we were going. There were plenty of towns between Dawson and there. Of course, we might be going past Pittsburgh, too. Alex took one hand off the wheel and wrapped it around mine, resting our hands on my leg. It was usually on me to plan with Tricia, so it was nice that someone else made the plan. I so badly wanted to know what was going on. I also knew it meant a lot to him to throw this surprise for me. Once we crossed the Pittsburgh city limits, I started asking questions again. He was right. I knew he’d take care of me. I scanned the highway signs for clues, but there were too many options. I punched him on the shoulder. As if on cue, we pulled into a garage that serviced the Consol Energy Center. “Oh man, are we going where I think we’re going?” I asked, the excitement in my voice unmistakable. Alex reached inside his jacket and handed over a small envelope. In the envelope were two tickets for ridiculously good seats to the Penguins/Rangers game that was starting at seven. “Oh my God! Do you know how good these seats are?” I was practically screaming in the car. Once he had the car parked, I leaned over, turned his head towards me, and kissed him. I didn’t care if anyone saw. As we walked into the arena, I took in everything. It was incredible to see so many food options and kiosks to buy Pens stuff. I’d never been to a game in person, so it was all new. I vibrated with excitement. I was on a date, a real date, and he brought me to a Penguins game. To top it off, we went down to the tenth row, just off of center ice. “I had no idea my boyfriend was so well connected,” I said as we sat down. The Penguins and Rangers were doing warm-ups and the arena was filling up. “Just a couple of Cokes for now, please,” Alex said. “Sure. I’ll get those right to you. If you need anything, I’ll be around in the section, or standing up top there.” He pointed back to the top of the section. “Thanks,” we said at the same time. He was obviously pleased that he’d pulled off such a good surprise. “Do you come here with your dad a lot?” I struggled to calm down a bit. “I’d like a burger cooked well with fries, please,” Alex said. “You got it. I’ll be back in a couple minutes.” The waiter smiled and headed up the stairs. We watched the players go through their warm-ups. “Do you ever think about playing pro?” I asked while keeping my eyes on the players skating. I sighed, overwhelmed at how he made it all sound. I reached for my wallet, but Alex had his out and paid before I could do anything. Brian went off to see some people who’d just arrived. “Tonight is my treat, so put that away,” he said, rejecting the money I was trying to give him. “Completely,” he said as he put mustard on his burger. I finished my hot dog prep while working on my answer. I grinned at the thought. Sarcasm was loud and clear in his voice. A wink quickly followed. I bumped my leg against his; yet another hug that wasn’t a hug. I took a drink to give me a break to decide if I was going to keep going about family. If we were going to be together, he needed to hear it all eventually. I chomped on my hot dog to let Alex know that I’d finished talking. “Cheers to that,” Alex said, raising his drink. We hit the two plastic cups together. He said “clink,”which added the right goofiness to it. As the game started, we got into being loud Penguins fans. They scored the first goal and owned the game from there. During intermissions we dissected plays and talked about replicating them, or trying to, for our own games. Our legs touched for nearly the entire game. I liked the contact with him. Before the third period started, Brian returned to check on us, having brought us way too much food over the past two hours. “Vanilla crunch for me,” Alex said. He zipped quickly up the stairs. “We’re going to finish each other’s sentences soon, aren’t we?” I said. “Cool. Did we miss some kind of giveaway or something?” Alex asked. Alex looked over at me with a confused look. I shrugged. It was awesome we clicked so well, but it scared me that it was so obvious. Maybe we let our defenses down too much since we were out of town. Brian picked up on my concern. “I doubt anyone else picked up on it. People tend to miss what’s right in front of them.” Brian looked behind us, scanning the crowd. “See the server over in section 110?” Brian pointed so we knew where to look. There was a tall blonde guy serving drinks. When he turned around, he saw us looking and waved. I smiled and waved, as did Alex and Brian. “That’s cool. How long?” Alex asked. “Yeah, thanks. It was great to meet you,” Alex said. “You guys, too. Hope to see you at another game some time.” Brian headed up the stairs to clear the aisle as the game got underway. “That was freaky. I didn’t know we were that obvious.” I said it as much to myself as to Alex. When I’d told Jackson, it was a deliberate move that revealed the truth. Here I thought we were playing it cool. Did this mean we weren’t hiding that well at school either? Or when we’d been out in Dawson? He said forever! Yay! Yes, it’d only been two weeks, but it was the best two weeks ever. I was definitely in love, but I hadn’t said it yet. I didn’t want to jinx anything. Alex hadn’t said it yet either, but the idea of “forever” along with the talk of maybe going to college together was great. I grabbed Alex’s hand and held it in mine. Suddenly, the crowd erupted around us as the Penguins scored. We jumped up to join the celebration. Twelve minutes later the game was done and the Penguins finished on top 4-2. “And we’re not done yet,” Alex said. More? What more could there be? It was already an incredible night. This entry was posted in Book Reviews, Gay Hockey Leagues. Bookmark the permalink. 1 Response to Hockey Pages: Why Does the Red Wings Guy Write A Book Set Near Pittsburgh? Hi there, just finished the book and really enjoyed it. Love the characters, and I would really like to hear what happens as they move to the next phase of their lives.